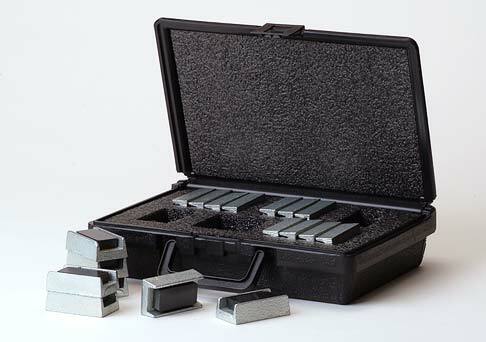 18 Piece Pace Weight Set (9 Pounds) With Case - can be used with weight machines, dumbbells, free weights. The 18 piece Pace Weight set is ideal for use with pin-selection weight machines (See What To Look For In A Weight Machine) and 5-pound increment dumbbells (See Pre-Shaped Dumbbells). They also work, of course, with conventional free weights. The 18 Pace Weights increase the utility of 10-pound increment weight machines by nineteen times and 5-pound increment dumbbells by ten times. Regardless of the types of equipment you use, the 18 Pace Weights let you quickly and easily fine-tune your exercise resistance in any combination of half-pound increments. 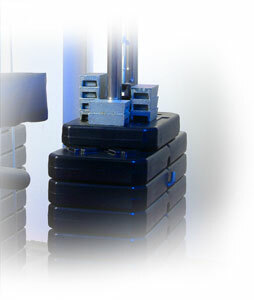 The 18 Pace Weights are arranged in the case in stacks of 2, 3, and 4, so when you’re using a pin-selection weight machine, you can easily select the number of Pace Weights you need for an exercise and set them on the metal guide plate of the machine. When using other types of equipment, just separate individual Pace Weights as needed and place them on the metal weights or weight plates. The sturdy, impact resistant carrying case is equipped with a handle and has a custom molded foam interior that keeps the Pace Weights organized and protects them from sharp impact when not in use. It also provides a convenient way to carry the Pace Weights to and from the gym. Case is available in black only. All Pace Weight products come with a warranty on materials and workmanship.